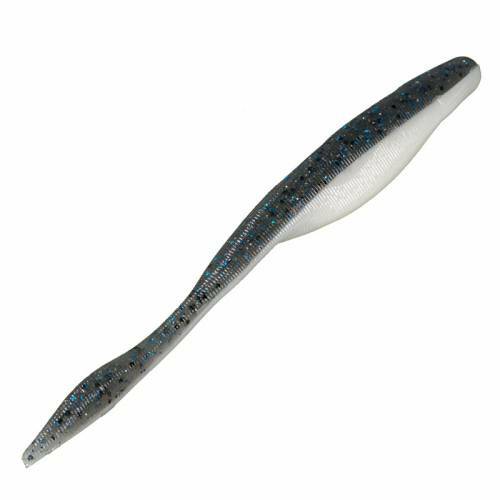 Strike King KVD Caffeine Shad Soft Bait - 5" Smokey Shad. Strike King KVD Caffeine Shad Soft Bait Series. Unrigged swimbaits with a unique bubble tail to give a great topwater and subsurface action when used as a soft jerk bait. Super soft, super salty blend with a coffee scent masks human scents and oils. 8 per package.